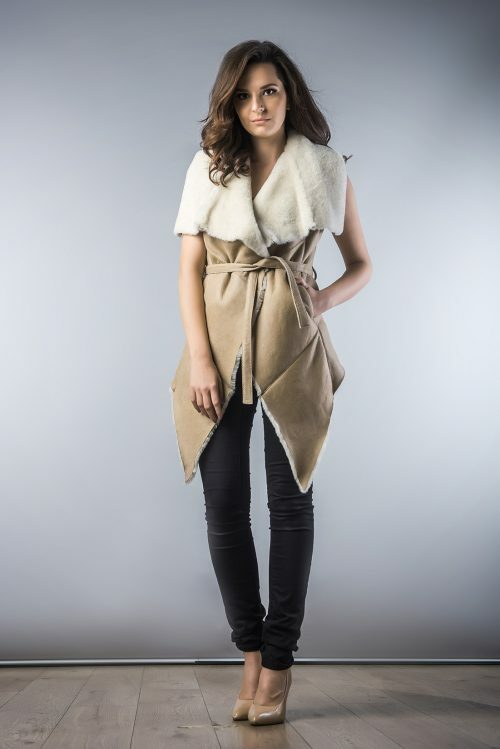 Polar fox fur vest for women, with both modern and casual design that can be easily be combined with several outfits. This model is in trend this season. The exterior is made from natural polar fox fur which is very soft to touch and the interior is padded. This vest can be tighten on the waist with a cord in the interior. The vest has the ‘hook-and-eye’ closure system. 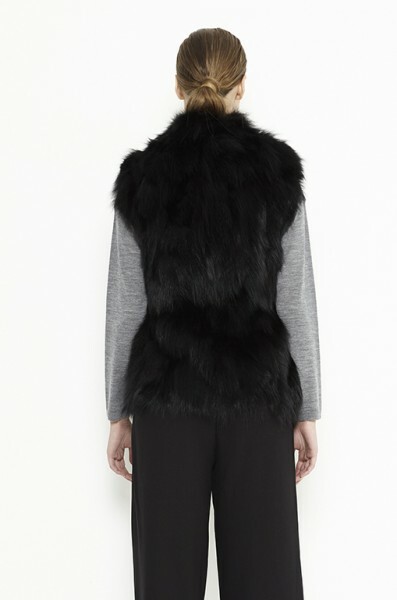 This vest is available in the colors: purple, silver and black.